Which point-of-view should you use to tell your story? This is a post by Novel Publicity President, Emlyn Chand/The world is full of would-be writers. Research conducted by independent, Michigan-based publisher, Jenkins Group, projects that a full 80 percent of people living in the U.S. say they would like to write a book. Quite ironically, this is the same percentage of Americans who failed to either buy or read a book within a single calendar year. What gives? My theory is that people are drawn to the idea of story-telling but deterred by the actual mechanics of writing. Writing is a craft, and it absolutely takes time to learn. It is hard work, especially in the beginning. But, for me at least, writing is one of the most rewarding activities in life. This is especially true if you feel an irrepressible urge to take pen to page, if writing is a must-do, rather than a like-to-do. My feeling is that the statistic noted above relates to a whole heck of a lot of people who place writing in the latter category. This column is intended to help those in the former — those who don’t know what they would possibly do, if not write. Writing is, for the most part, a solitary activity. It can be daunting, learning such a detailed and diverse craft, entirely on one’s own. Luckily, there are a number of fantastic resources out there to assist in such an endeavor. 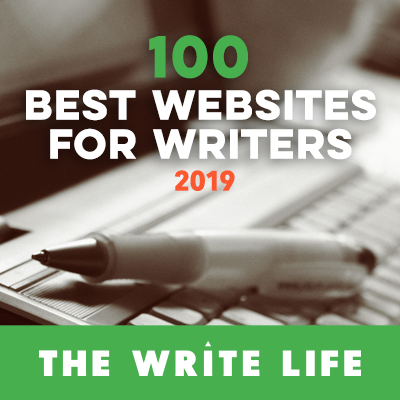 I would like to add to that body by outlining some of the problems I faced while penning my first novel, problems I have learned from, and, if you heed my advice, problems I may be able to help you avoid in your own writing. In this article, I would like to discuss: Point of View (POV). Point of View (POV) refers to “the source and scope of the narrative voice” in a story. There are four primary POVs and a couple of odd, rarely seen POVs. My POV woes: The single biggest oversight I had during the creation of my first novel was related to POV. I didn’t identify and stick-to a specific POV during the planning phase of my novel. I just wrote by the seat of my pants. What happened is this: I landed somewhere between multiple third person POV and omniscient POV — a big sloppy no-no. This problem took me a great deal of time and editing to correct — entire scenes had to be discarded as utterly unsalvageable. Needless to say, I learned my lesson the hard way and am writing my second novel from first person POV (to avoid my tendency to wax omniscient). Now that you know my experience and hopefully understand why this is an important topic to consider in the planning phase of your fiction writing, let’s delve further into your POV options. Other Options: There are other POV options, such as second person (Jay McInerny’s “Bright Lights, Big City”) or epistolary (Pierre Choderlos de Laclos’s “Dangerous Liaisons”), which are rarely seen, as they are quite difficult to master. Of course, we all have our own unique challenges as writers. You may not have to think twice about POV to do it right, whereas I have had great difficulty with staying within the boundaries of my chosen POV. Next time, I'll discuss another problem that may plague new writers. Emlyn Chand was born with a fountain pen grasped firmly in her left hand (true story). 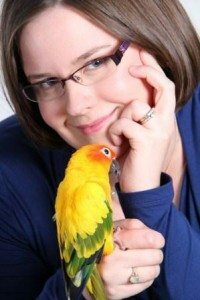 Novel Publicity's mascot is a Sun Conure, thanks to her obsession with birds–and she gets to decide anyway since she is the company's founder and president. Although her first novel Farsighted won the prestigious Writer's Digest Self-Published Novel of the Year award in 2012 for the YA category, she now writes most of her fiction under her “real” name, Melissa Storm. Learn more or connect with her (or her Sun Conure, Ducky!) on either of her author websites: www.emlynchand.com or www.melstorm.com. You can also friend her on Facebook, tweet with her @novelpublicity, or send her an email via [email protected]. Thank you so much for this post, especially for differentiating between multiple third person and omniscient. Funny how this was the exact issue I’ve been trying to work through the last few days and now I find your blog post and it just clicks! I’m glad you were able to extract some value from my post. I’m also glad to learn I’m not the only one who has struggled with this issue. If you can get ahold of a copy, The Writer’s Digest “Write Great Fiction” volume on Dialogue is a must read! Thanks for the write-up. In my first endeavors of storytelling I decided to go with the first person POV. I felt this would add an interesting spin to how I tell my story, but secretly I knew this would help prevent some of the problems you mention above. Thanks for the insights! I’m glad I was able to help! I’m definitely much more at home in first-person POV, which is what I have selected for my second novel. I’d like to try third person again some day but strictly from one character’s POV. Good luck with the writing! I have seen writers combine the omniscient pov with what you call the multiple third-person pov. For some reason, one example that springs immediately to mind is Ruth Rendell’s The Rottweiler. The excerpts I’ve seen of J. Franzen’s Freedom, including the original shorter story out of which it sprang, seem to suggest that he does the same. Why do you recommend against it? Is it just that it’s so intractable, or do publishers or readers tend to reject it? The mixture of omniscient and multiple third person is seen as sloppy on the part of the writer. The volume from the “Write Great Fiction” series cited above covers this in-depth. I hadn’t realized that I did this in my own fiction until that particular writer’s guide opened my eyes to the problem. It took massive reediting to get the omniscience out. The story’s unquestionably stronger for it. When it comes to viewpoint, make a choice and stick to it! Well, all right. I’ll have a look at the book you mention. Perhaps I don’t fully understand the kind of problems you see with this pov. If I have understood you correctly, I would argue that some writers appear to do this mixed pov quite successfully. If you’ll forgive an absurd analogy, the +3rd person/omniscient pov is or can be like a bird flying over a city that occasionally swoops in to land on someone’s shoulder, linger there for a little, and take off again. What I mean is that it can feel natural and convincing rather than sloppy and disorienting. I suspect that the approach derives from film, albeit unconsciously. The camera can hover above a scene, then identify itself with a single character, and then move on to another character – all within a span of 5 minutes, and without confusing the viewer. I suspect that writers have attempted to pick up on this technique without realising it. It can be sloppy, but as I said, I believe it can work. Thanks for taking the trouble to answer me. Hey, L. What you’ve described so aptly is omniscient POV, not the multiple third person mixed POV. The purely omniscient form was popular during the nineteenth century but has since then come out of favor. I like it too, which is why I initially wrote my first novel that way. A nice write-up, covering a number of good points. For another way of looking at POV, with some easy-to-follow examples (without being patronising, since a lot of ‘How to Write’ books tend to lean towards such things), I would highly recommend Ursula LeGuin’s ‘Point of View’, which can be found in her book ‘Steering the Craft’, published in 1998. The only thing I can think to stress once more, is to be incredibly aware of ‘zooming in and out’ with your main characters. Mind your choice of language. Most omniscient narrators tend to wind up putting in adjectives in their description which would come from their characters and not necessarily their own narrative voice. Most interesting and succint precis of POV. I found that limited third-person is the most natural for me to write (with touches of multiple), but took a bit writing to figure it out. Omniscient is tempting, but oh so much harder. I’ve read numerous books on POV and novel writing. I was so confused and utterly deflated when I read that people consider first person POV “amateurish” and actually struggled with writing in 3rd person. But I finally stopped trying to force it and settled on first person. Just get on with the writing, right? I still find myself attracted to posts like these because I keep looking for that “magic” answer of which is right. LOL! Hi Bianca. Certain genres (like YA) call for first person. My current novel is written in first person, and it’s been much more comfortable for me. It just fits the story. I’ve actually heard that writing first person is more difficult to do correctly than third person, which is why some warn against it. I say, do what works!